The safety and security of our children is the most important responsibility of a school’s administration. From kindergarten through college, parents need to know their kids are safe. And students and teachers can focus on learning and teaching. 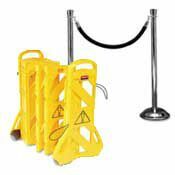 Crowd Control, Security Gates and Fire Extinguishers.